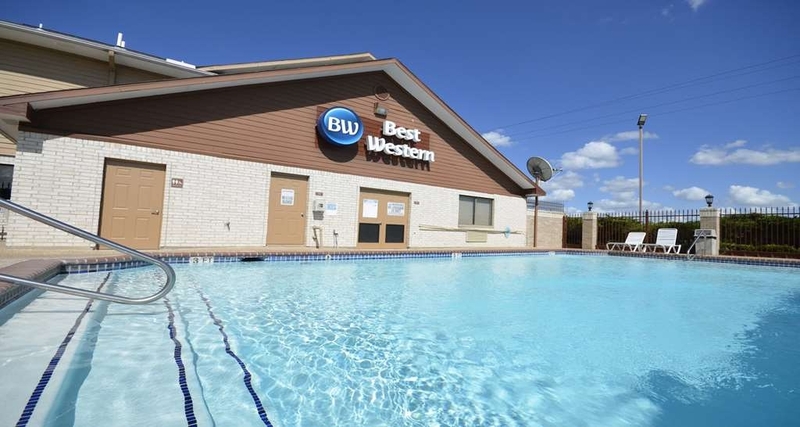 Il Best Western Inn of Navasota è situato nel centro di Navasota. L'hotel è vicino alle principali attrazioni turistiche. Approfittate tutto l'anno del miglior prezzo garantito e di offerte esclusive. 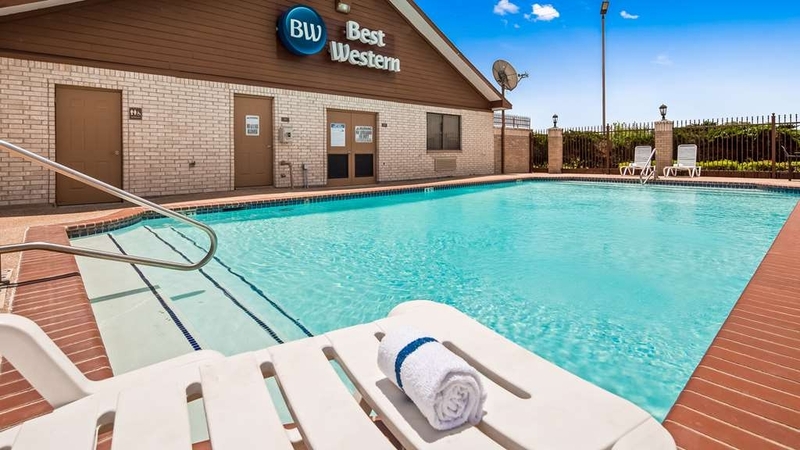 Benvenuto al Best Western® Inn of Navasota!Se sei qui per la Texas A&M University, meriti un hotel di Navasota piacevole e pulito dove la convenienza, il servizio e la qualità vanno di pari passo. Gli hotel di Navasota sono la casa dei fan del football della Texas A&M University e offrono una posizione comoda per le partite, le lauree, i ritorni dal college, i weekend di trasferimento e altri eventi universitari speciali. 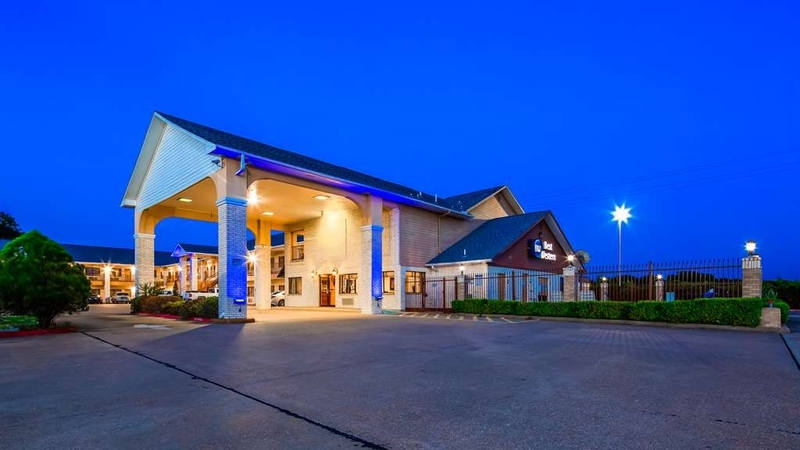 Il Best Western Inn of Navasota offre un ottimo servizio clienti e la ricca ospitalità del Sud degli Stati Uniti. Se sei qui per la finale o per il Texas Renaissance Festival locale, dove soggiorni può fare la differenza. 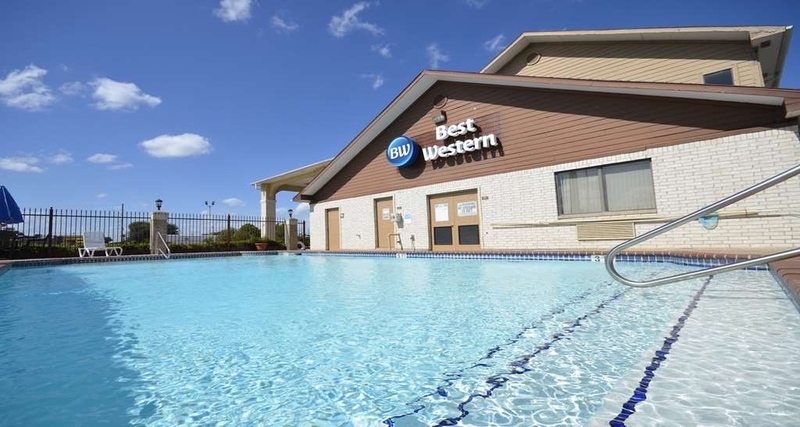 Il Best Western Inn of Navasota è vicino alla George Bush Library, al Washington Museum e al Western Club. Le riunioni di famiglia, le lauree e le altre riunioni hanno tutte luogo nelle vicinanze. Presso il nostro hotel di Navasota, siamo felici di ospitare dei gruppi di persone e troveremo una soluzione con te per assicurarti un soggiorno il più impeccabile possibile. Goditi le camere spaziose e fresche, la biancheria da letto di lusso e una posizione imbattibile. Sarai a pochi passi dalla Texas A&M University, che tu sia un professore in trasferta o uno studente universitario. I viaggiatori d'affari apprezzano soprattutto i servizi del nostro hotel di Navasota. I lavoratori del settore petrolifero sono ospiti regolari della nostra struttura. I dipendenti di NOV Grant Prideco, Texas World Speedway, e Texas A&M Veterinary Medicine ci considerano la loro casa lontano da casa. I tuoi tragitti saranno facili e veloci dal nostro hotel, senza doverti preoccupare del traffico. Se stai cercando il meglio nel servizio e nella qualità, allora è ciò che troverai nel nostro hotel di Navasota. Il personale è disponibile a fornire suggerimenti sulle attrazioni turistiche, sui negozi e sui ristoranti. Indipendentemente da ciò che ti porta in città, goditi al massimo il tuo viaggio soggiornando nell'hotel giusto. Noi andiamo al di là di ciò che meriti. 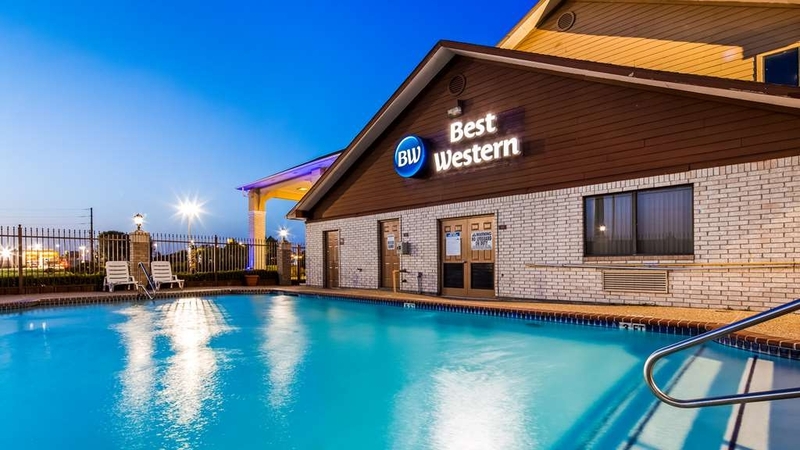 Prenota subito il tuo prossimo soggiorno e risparmia al Best Western Inn of Navasota! 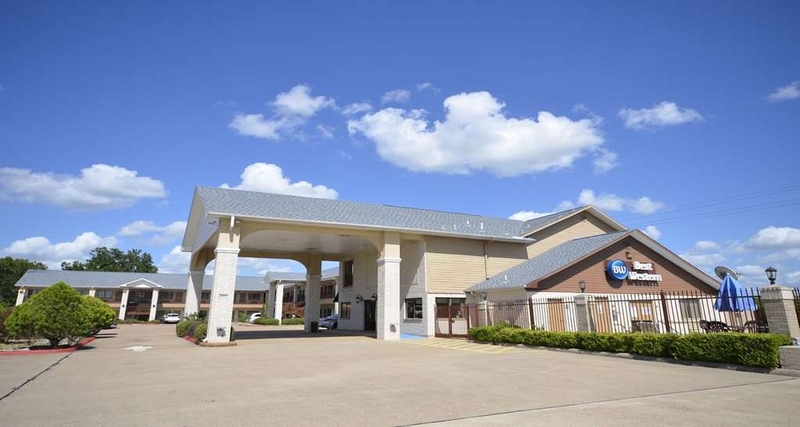 This is a nice hotel located just off Highway 6 by Collage Station. The room was very clean and quite. The internet was very good! Breakfast started at 5:30 am and the breakfast was good. There are some restaurants close to this hotel. Thank you for allowing us to service you on your stay. We hope to see you again on your next trip. Only true downfall to property is access it is on a one way st. If you leave, you have to go back about a mile and return on one way street. There are several fast food restaurants and a steak house Mexican and barbeque near by. Small Walmart across hiway. Thank you for allowing us to service you on your stay. We are sorry for any inconvenience the access road may have caused you. We hope to see you again on your next stay. 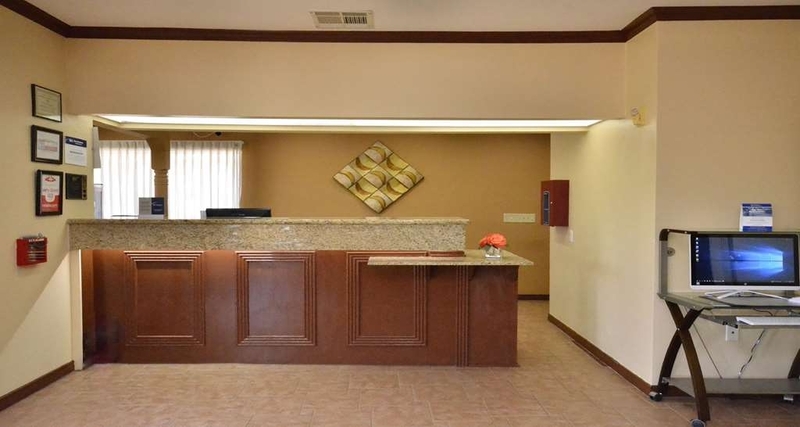 Hello Thank you for staying with Best Western Inn Navasota. We appreciate your positive feedback . Its our pleasure we were able to serve you and meet your expectations. Based on your comments , seems like you enjoyed the stay with us and we would greatly appreciate if you would give us better ratings instead of 1 . we would love to have to back in serving your future stay. 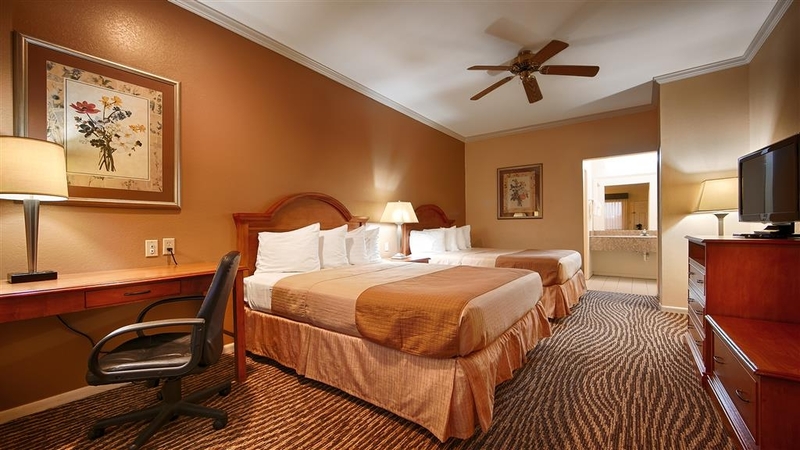 I booked a room for my husband, who was traveling with a friend and two young children. They had just attended a football game that ran very late and wanted to stay the night somewhere rather than drive back to Houston. When they arrived at the Best Western, there were several individuals hanging out (not college students) and drinking in the parking lot that made them uneasy about staying at the motel with two young children. They opted to continue on to Houston. I called 11 minutes after booking to cancel the reservation. The said they would not accept a cancellation because they were not able to book rooms for other potential customers. This was a flat out lie. When I booked, they had 4 rooms available. No one was turned away in the 11 minutes that I booked and then cancelled (at almost 1 a.m., mind you). I called and spoke with the manager who offered to have the owners call me, but of course, they did not. If there are safety concerns, children involved, and only 11 minutes elapsed from booking to cancellation, this should be an automatic credit. However, they will not refund my money. These are unacceptable business practices. On behalf of our entire team, I would like to apologize for not exceeding your expectations. Reservations that are made online for the same night are booked as non refundable, which is shown on the website. It was a very busy weekend in town with many reservations arriving for check in after the game. Your satisfaction is important to us and we will be using the feedback you gave us to implement improvements to ensure we offer a better experience for guests in the future. I hope that you will consider staying with us again so that we can have another chance to provide you with a superior experience. 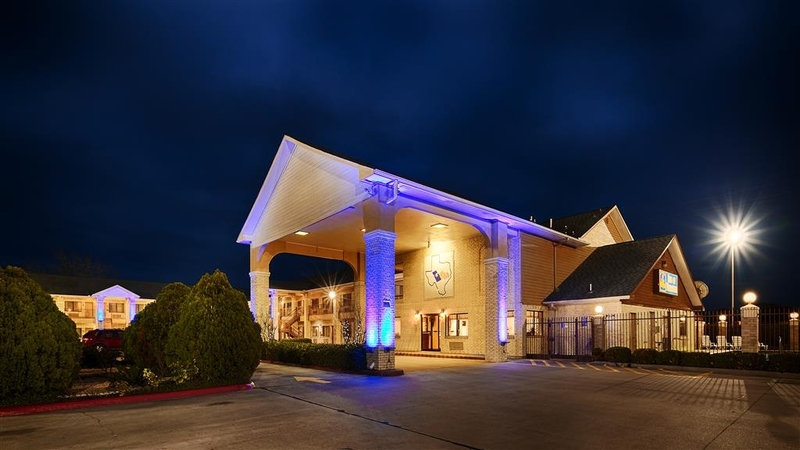 "Fine place to stay when in Navasota"
My wife and I were attending a conference at Camp Allen and spent one night at the Best Western Inn of Navasota. The room, dining area, etc. were spotless. It is obvious that the management of this hotel work very hard to make the lodging experience very positive. The breakfast was good and a nice variety was offered. We wouldn't hesitate to stay here again. "Attending a wedding near by"
Hotel was clean, service was friendly. The breakfast was not real good. They seem to run low on items and not replenish them very well. When we were there it wasn't real crowed so that was not the problem. Not much in the area so it wouldn't be a place I would stay unless I had something to attend real close. There was plenty of parking and beds were comfortable. It is fine for a one night stay. Room was very clean, plenty of television channels. Air conditioner cooled quickly and quite well! Have stayed here twice in last two months. Plenty of parking. Hepful front desk. Will stay again. Feels safe! Will never again stay here!! They charged my daughter for rooms she didn't use for her wedding weekend, and was told to cancel 72 hours in advance. Hannah at the front desk was unwilling to help and was not customer service oriented. The owners did not speak English and were no help. Breakfast was put away before we got up and dressed to get there. Over priced for what we received. Even though it was clean and convenient, we will never again stay here!! The staff was really nice, especially the lady that checked me in by the name of LaNita. The comfort of the room was really good as well. I loved the fan over the bed, expecially being in Texas. And the room was comfortable enough to spend time in to visit with my Aunt & Uncle I havent' seen in years. I reserved a room for three nights online and was quoted a price. When I checked in, a trainee quoted a price that was $9.00 more per night, even though I showed him my paperwork with the original quote. Due to an early flight I needed to check out at 3:30 a.m. and signed an invoice, but upon arrival home I found that I was billed for a fourth night. I sent an email immediately to request a refund and three days later have had no response from the hotel staff. I feel the better communication and staff training would help to smooth the check-in process and make clear what the daily rate is. Other than this my stay was fine. This was a very nice hotel. The room was very clean and comfortable the internet was very fast and the breakfast was very good. they serve breakfast starting at 5:30 am which was great as I need to check out by 7:00 to keep my appointment. the Staff Nita and Vernice were very pleasant and helpful. Super friendly staff. Clean comfortable room. Quiet room on top floor. Great shower head. Micro and fridge. Great breakfast with make-your-own waffles, scrambled eggs/sausage/biscuits/gravy, and more. GREAT COFFEE! Tasty cookies, packaged chips and cold lemon water in lobby. Great hotel for a great price! On the quirky side the bedspread in our room was restitched in two corners but with black thread that did not match the color of the whole bedspread. We thought at first it was grease or grime. They took the closet, removed the clothes hanger, removed the door and stuck in the hole in the wall a refrigerator with a microwave on top. It really looked odd. Then they took the hardware with hangers to hang clothes on and put it in the bathroom sink area. The cabinet to lay your suitcase down on was not here however. It was all the way back in next to the TV. The bathroom was a two-parter. The sink with the open clothes hanger was an open area art the far end of the room. 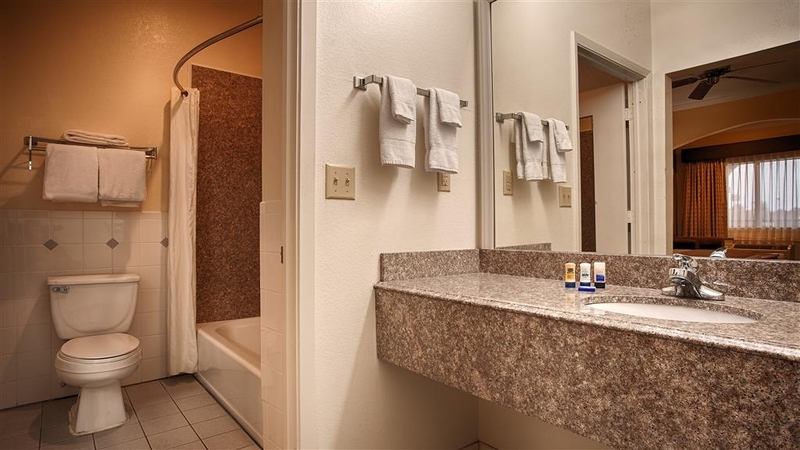 The shower-tub and toilet was in an adjoining room with a door. Although the toilet was set way back you still couldn't sit on it with the door open. That is because the door was the largest and widest bathroom door we have ever seen. It had the feel of an outside door. The bathroom doorway was huge. Very quirky indeed. The not murky side which is the pluses were that the room was neat and clean. It had a nice separation of the living area from the bedroom area via small Marble topped mini half walls with a nice archway overhead. So when you walked in the door, instead of walking directly into a bed you were in a sitting area with a couch and a desk opposite it. That, we felt, was a definite advantage. The TV was nice and large and modern. The bed was comfortable. The room was newly painted and we appreciated that it did not have popcorn ceilings. This is the first hotel-motel room we have been in of this class that had CROWN MOLDING. Now that's class! The breakfast was average but we appreciated the availability of some good tea. The woman on desk duty was cordial and helpful.We would definitely come back here despite the design choices. 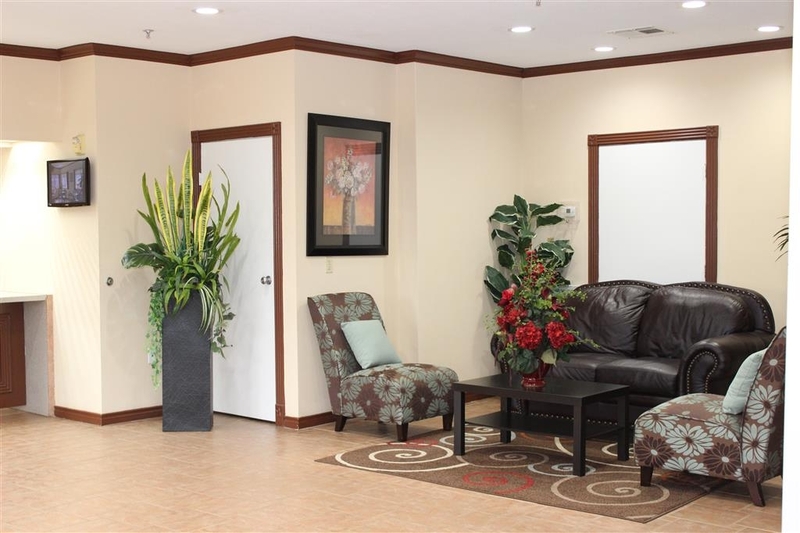 The location is excellent, next to connecting highways of importance with many restaurants a stone's throw away. 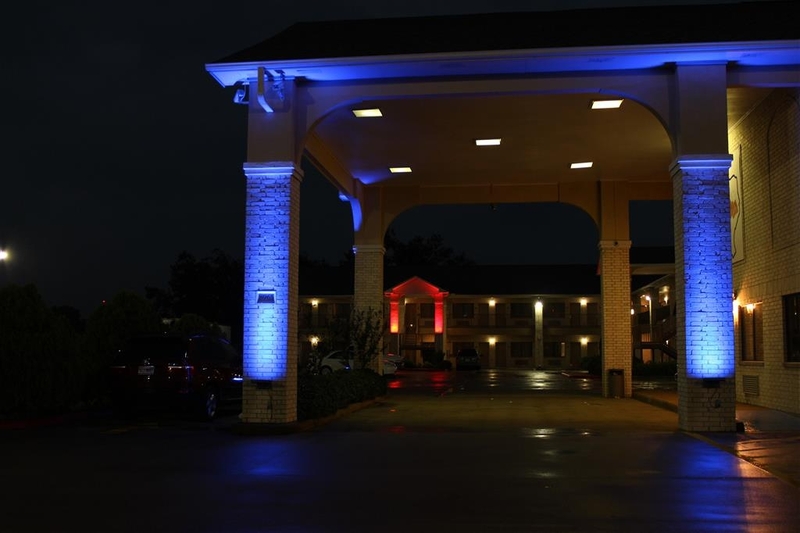 Home Again My stay at the Best Western Navasota Inn hotel has always been a pleasure. As usual the rooms are always clean, fresh and well stocked, but it appears that there's been a slight change in the awesome breakfast I remember. Maybe this is due to cheaper products; waffle mix, coffee creamer. The staff (especially Deborah) was very helpful and always open to suggestions to ensure their guest has a comfortable and memorable stay. This will remain to be my favorite hotel when I'm in town. This is a nice country theater. All seats are close and have a clear unobstructed view. The venue is small so get your tickets early. Handicap needs can be accommodated. Like many of these old small theater, the restroom resources are limited so expect lines. They had a large attendance so they opened the actors restroom to take some of the overload. They have limited but adequate refreshments, so don't plan on having a meal there. The play I saw, Tuna Christmas, really sucked. It was not the actors or theaters fault, the play just stunk and was stupid. Save your money and have s couple of shots of Patron instead. You will feel better. Staff was friendly and rooms were clean. Had a few close place to eat with in walking distance. I would stay again when attending TRF. Also Texas shaped WAFFLES. Worst thing to happen was a little mix up with check in by was never a big deal and was resolved vary quickly. thank you for your review of our hotel. we appreciate your input and hope to see you again soon. thank you for your response, we appreciate your business and we are working on replacing the mirror. 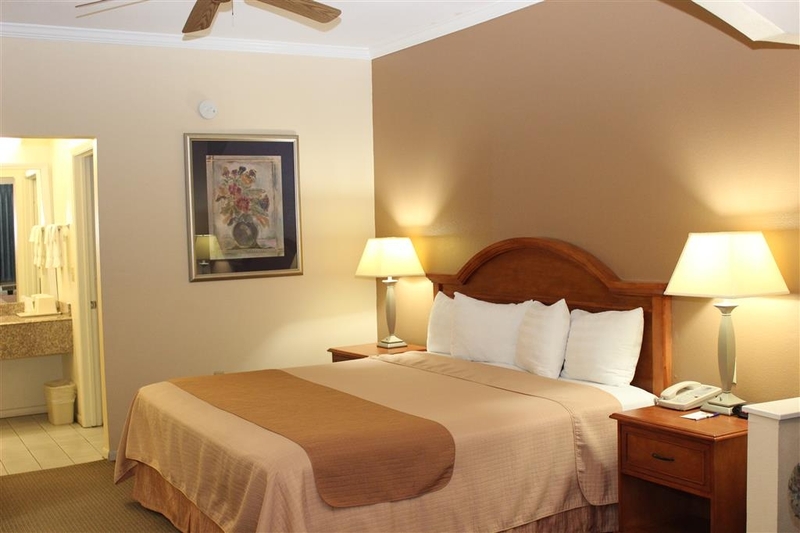 Good location, rooms were very clean and smelled clean. Staff was very accommodating and nice. Breakfast fresh and laid out well. 24 hour deli and McDonald's within walking distance. Safe, comfortable little motel. Thank you we are pleased you had a great experience, looking forward to seeing you again. Would highly recommend this property! Clean inside and out. Desk staff was very professional and we'll groomed. 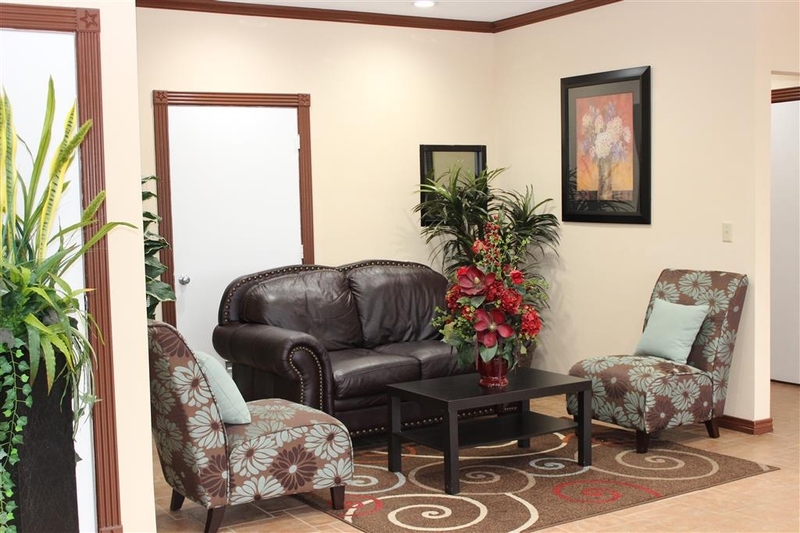 You won't be unhappy that you chose this place to stay while in Navasota. Easy to find and access. Very clean motel. Staff was very helpful. I was surprised at the cleanliness of this motel. Exterior entrances, so not a safe (Not a reflection of this area or motel staff) choice for a single female traveler. "great location - Close to Texas Raissance Festival"
Stayed here as well as some friends so could visit the Ren Faire without a lot of hassle. Great staff, Clean rooms. Breakfast tasty and added nobus. Would stay here again next year.20 minutes from Faire. Although clean and the staff was excellent, this motel was overpriced. The Bath area looked to have been recently updated but the room itself was very dated, bed, nightstands, carpet and bedding. Comfortable enough for the one night. We did appreciate they accepted pets. "Evacuate due to Hurricane Harvey"
Hi the Hotel stay was great we had to evacuate from Alvin Texas due to hurricane Harvey . We enjoyed our stay all of the services was great. They made sure everyone was comfortable at the Hotel they also went above and beyond to satisfy and , accommodate everyone. The hotel staff was very friendly and accommodating. The room was clean and the decor was up-to-date. I felt safe and the exterior noise level was minimal. I would stay at this hotel again. It was a lovely little town. "Treated like we were the only ones there." From registering to check out we were treated like we were special to them. The room was extremely clean. Every employee was smiling and friendly. Felt very safe. Breakfast was much more than expected and tasted good. Clean, clean, clean. The price was more than what we wanted to pay but was offered a small discount. The price we paid was worth every experience we had. Wish we had had time to us the pool. Easy in and out from freeway. Who ever is managing the motel is a very smart person and has trained the employees well. Some how this employer has helped the other staff to know how to treat guests. I just can not say enough good things about this hotel. Great location to visit our family that lives nearby. The hotel is clean, the staff is friendly and the breakfast has a Texas shaped waffle maker, a plus with the kids. :) We appreciated that the two women we met at the reception desk were welcoming and informative. Nice rooms in a quite area. My son and I stayed there after an all day event at a festival. We enjoyed the clean rooms and nice clean beds. The place is located next to fast food places so makes it easy for dinners. Will stay there again. 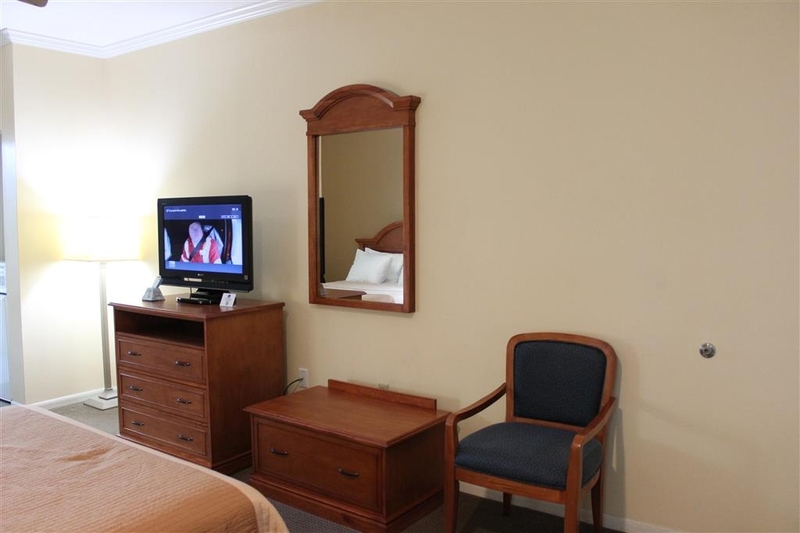 "Nice room, tough location, no internet"
Hotel is in an awkward location on a one way off ramp behind the main drag. It's hard to get too, and there isn't a convenient path to walk to the fast food places 100 yards away. 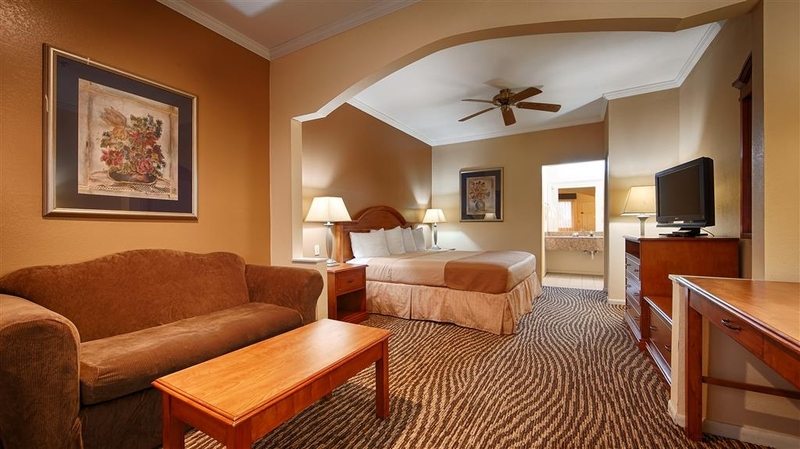 The room itself is pretty decent with a lot of room and a nice big bath, the A/C unit is pretty loud but works well, and while there is traffic noise it's on par with most hotels in the area. The issue that really bothered me is the internet just doesn't work at all. If I would have known that, I would have stayed elsewhere as I need to be connected. This BW is clean and well staffed. Must say I'm impressed with the service. I accidentally left something in our room. Before we reached home the front desk called me to notify me that housekeeping had found it. That's not something that happens everywhere. We will definitely stay here again. Thank you for this review. We here at the Best Western Inn of Navasota PRIDE ourselves in Customer Service. No matter the item, we contact our guests as soon as the item is found and try to catch them before they have returned home or traveled to far to return to the hotel to retrieve their possessions. It was nice to see our staff appreciated all around! Thank you again for staying with us and we can not wait to see you again! Overpriced for area. Demanded a $50 deposit because I was paying cash. I have stayed at many Best Westerns in fact usually look for them when making reservations and have never been called three times the day of my arrival to tell me they tried to run my credit card and it was denied so they would not hold my room until 6pm for me to pay cash. Then when we get there they required an additional $50 dollars because I did not put it on a credit card. The person calling on the phone was very pushy and rude about holding the room at all. We finally check in at 4pm without too much problems. However when we were in room we had put items in refrigerator and later found it did not cool. We have been on the road and in hotels for over 40+ nights. Best Westerns have become bright spots in our journey. When we can find one within our budget we snap it up. The BW Navasota was just what we have come to expect. Clean comfortable room, nice breakfast that includes proteins not just carbohydrates. The pool wasn't officially open yet but they unlocked it so my wife could use it. It was cold but clean. Room was large and very clean. Bed was exceptionally comfortable. Shower was very clean. Water was hot for my shower. Great Experience. Hotel was easy to find. Plenty of places to eat all around it. Highly recommend it. "Not fancy, but perfect. Thank you!" If you want a bunch of bells and whistles don't stay here. If you want privacy and a clean room, this is your choice. No smells except fresh in my room. No maids popping in or knocking in the morning rushing you out. Plenty of towels was a nice change. The internet was slow and the front desk hostess reset the router and it worked fine. Breakfast was the way I like it- tidy, small and clean. In my two nights, every one I encountered was super cool. Refreshing! "Worth the drive from College Station"
Instead of staying in College Station while visiting, we make the drive down to Navasota (15 plus minutes). It is worth the drive to save the money during A&M home football weekends. Easy and polite check in even at midnight. 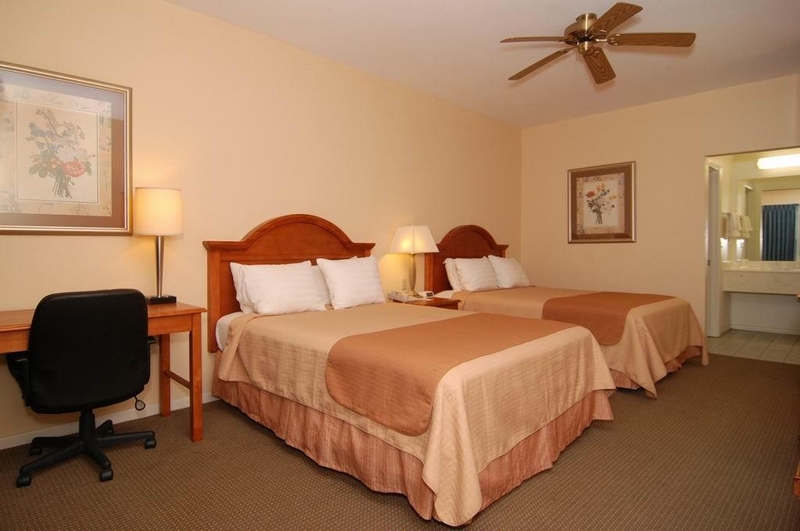 The rooms are large and the beds are great Temperature settings for the room are easy to control and work. Plenty of hot water. I normally do not worry about the free breakfast. The times I have it has been simple and basic but plenty to offer. I usually would not choose this kind of hotel to stay, but we were traveling with a group and someone else did the planning. For the money, I felt like this hotel is overpriced. Did not see anything that justified $130 per night. Perhaps the price goes down on a week day? Not sure. This is one of those old hotels that really is a motel, remember those? Check-in was very friendly and efficient. Did not try the continental breakfast in the teeny breakfast area. Did not try the classic motel pool. Bed was comfortable, towels plentiful. Should mention that there is no high definition TV. Felt like watching TV back in the 70's. "Never Cease to Meet My Expectations"
I am always pleased with the service of this hotel, andI never consider staying anywhere else when I'm in the area . The friendly staff always make my stay a pleasant and comfortable one. 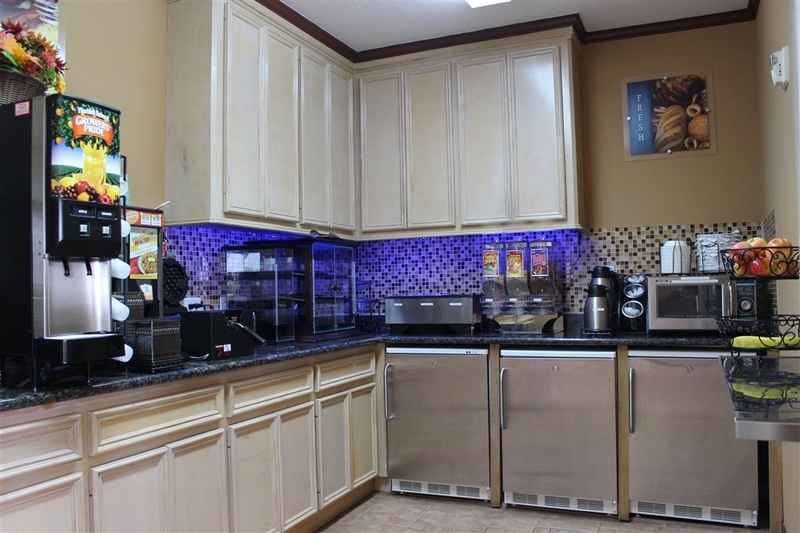 The continental breakfast is not what you will exceed your expectations. This Hotel is one of the best I have stayed in. The rooms are clean and big. The bed are comfortable and clean. The towels are clean and thick like a towel should be. The Staff is Awesome. I will for sure stay here again. Thanks to the staff for a great stay. The lady at check in was quite helpful in helping us to find the location of a local hamburger place. We prefer to eat at local places rather than chains to get a feel for the town. The room was good as were the beds. They had a very nice breakfast with eggs, sausage and biscuits. It of course had all the normal continental breakfast items. We enjoyed our stay here. Thank you for your business is very important to us and we value your feedback by telling us what you liked about your stay are helping us deliver a superior experience for you and other guests in the future we hope you will come back. if I can be of assistance in the future please call me at (936)870-4100 Thank you again for taking the time. 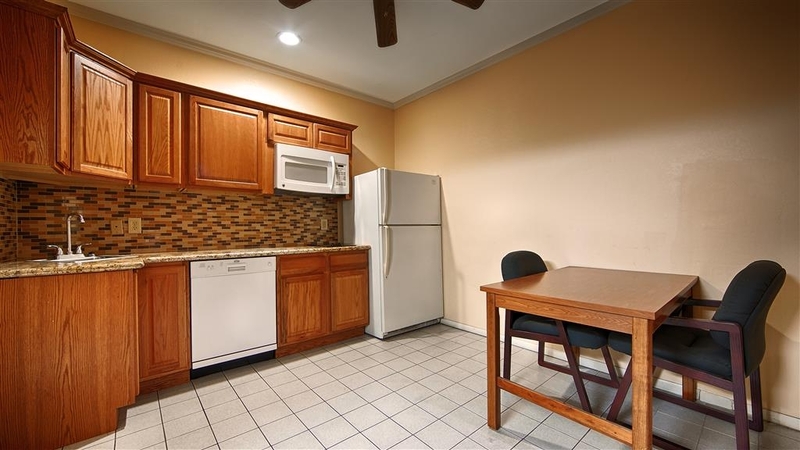 great price, clean room, very friendly personnel, location is not very good, have to past the hotel, about 1/4 mile, then turn and come back to the hotel on frontage road. Otherwise every thing is very good, that only applies if you are traveling south on state highway 6. 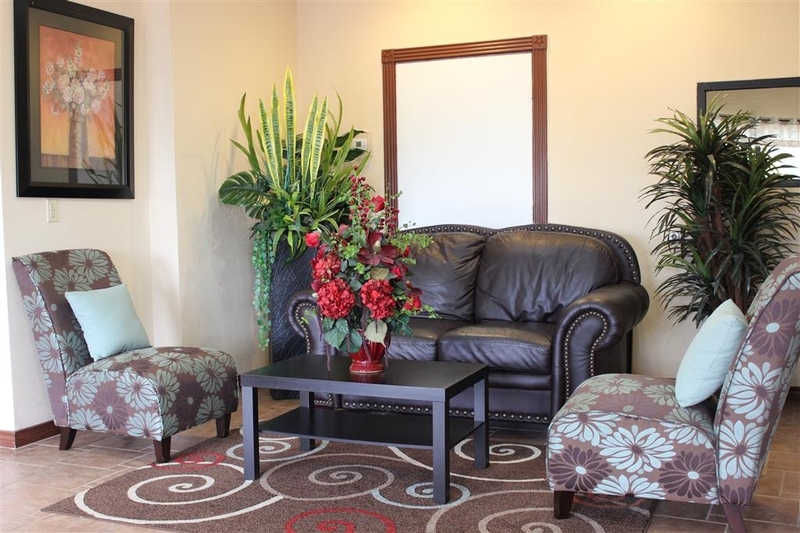 From beautifully landscaped, clean parking area to immaculate office and quiet, comfortable room, sincerely friendly, caring staff to well-stocked, attractive presentation of fresh, hot full breakfast, working wi-fi, my stay could not have been better. My only regret is that I could not have stayed longer! we do prison minstry and the location is just where we need it to get there and back in time to check out. the location is just off the highway and places to eat are great and close, gas station are near by. The hotel was pretty clean. Beds were ok. But, had to take cold showers and heat water in microwave to bathe the baby. Internet is very lagging. Once you check in if you leave for any reason you have to go the way back down the freeway and circle around to get back to Hotel. Very Inconvenient. Thank you for completing the survey regarding your recent stay at our property. Your business is very important to us and we value your feedback. By telling us what you liked about your stay and how we can improve, you are helping us deliver a superior experience for you and other guests in the future. We hope you will come back and see us again soon. If I can be of assistance in the future, please don't hesitate to contact me at 936-870-4100. Thank you again for taking the time to complete the survey. We appreciate your loyalty to our brand. "Keep up the good work guys!" 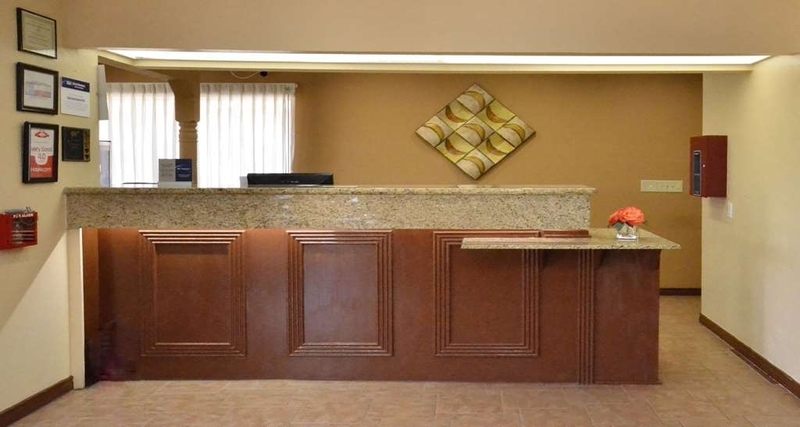 The front desk staffs as well as the housekeeping staff are always friendly and willing to accommodate. 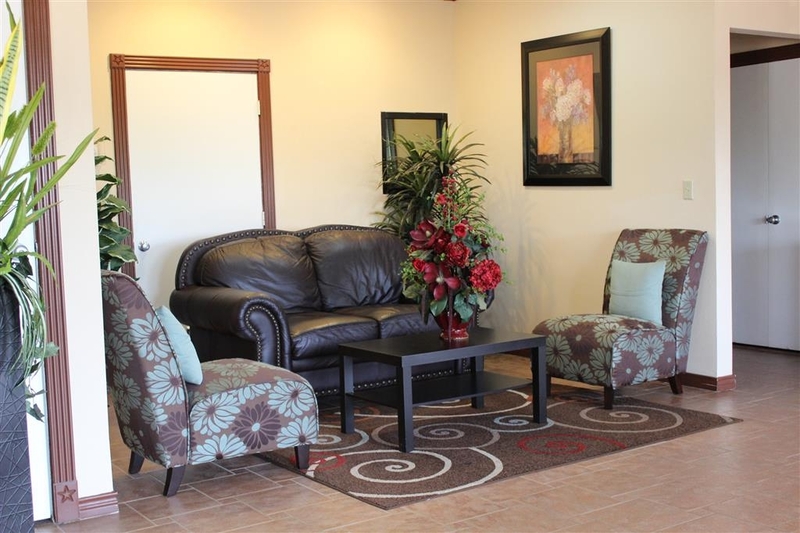 I am a constant guest at the Best Western Navasota Inn and my stays are always pleasant, relaxing and refreshing. 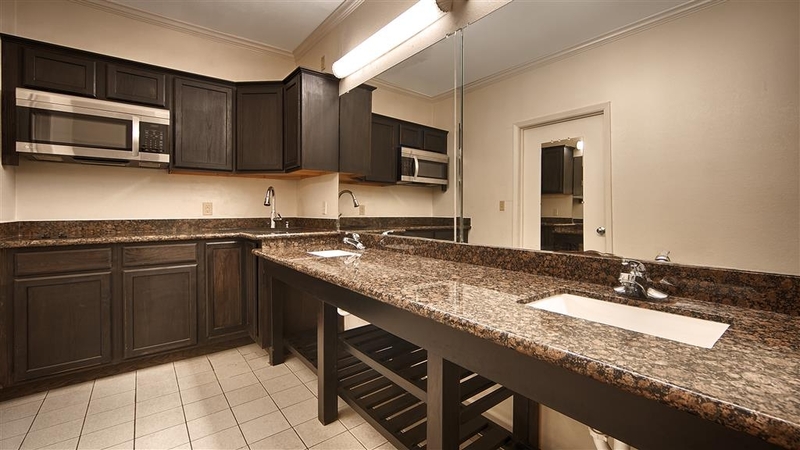 The rooms are clean and fresh as well as the overall property. You must make the time for the breakfast, best I have had even in a 5-star hotel. This has and will always be my hotel of choice when I visit the area. Keep up the good work guys! "Traveling the Southern tier on a tandem bicycle "
Nice BW. Room is nice size, refrigerator, microwave, coffee, hairdryer. Wfi is good. Good bed, sheets. All appears clean. Breakfast starts at 5:30, unremarkable. Only regular coffee no decaff. Management nice. Stayed for 2 nights during Parents weekend at Texas A&M. Was only about a 15-20 minute drive from campus, so it was fairly convenient. The parking lot was full and we had to make out own spot and parked at the end of the marked spaced. Some people parked along the edges, near bushes and an open field. Rooms were old and had been patched up over the years. Room smelled old. Bed was ok, decent linens, old lumpy pillows. Shower was clean, but lots of caulk over old mildew. There was a long black hair on the wash cloth and soap. Gross. There was an old loveseat with a cheap ugly non fitting cover over it. I just avoided that. Staff was nice. Didn't try breakfast. Won't stay again. I'm picky about cleanliness and this place gave me the creeps. We spent night here as we went on wildflower tour. Room was very clean and comfortable. Staff was very friendly with a quick check in and quicker check out. The breakfast is fresh with some options to suit all tastes. "Wow the room are really big"
Nice staff, large rooms. Soft beds and a nice breakfast. I was worried by other reviews but did not have any issues or problems with our stay. The city should run an secondary street to the area so guests could go back and forth to the main roads easier, but that's not the hotel fault. 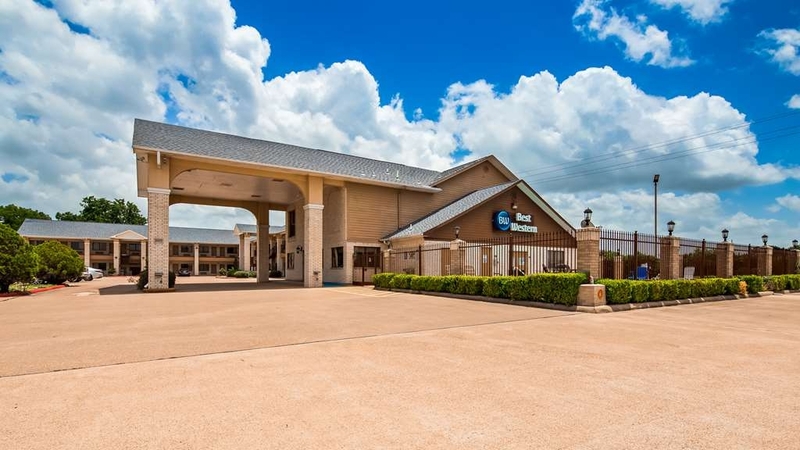 "one of the best choice in town"
There are not a lot of motel choices in Navasota, but this one has just about all you could want and hope to get out here. It is very conveniently located on the main highways and close to Walmart, McDonald's and other fast food places and several Mexican restaurants and a BBQ joint. 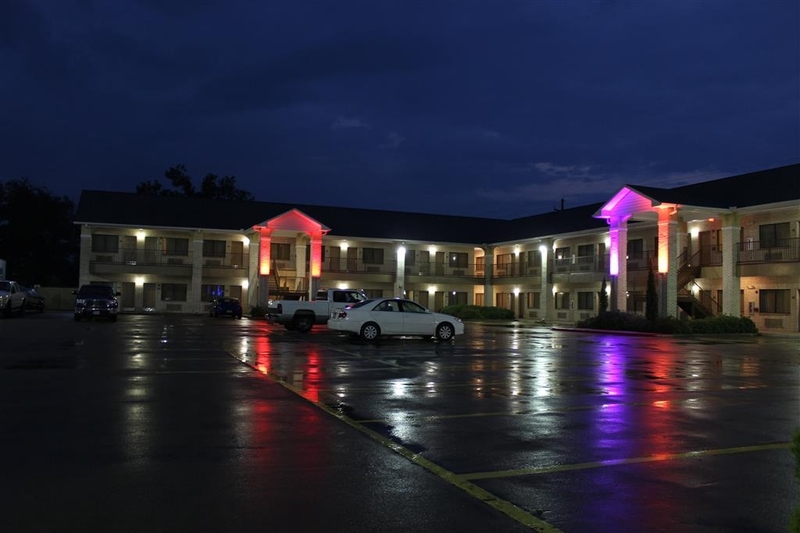 The motel is 2 story will all rooms opening towards the parking lot. The room had a lot of space with a love seat, desk, microwave and refrigerator. The bed also had a ceiling fan over it, which is a nice touch. They have a continental breakfast every morning. 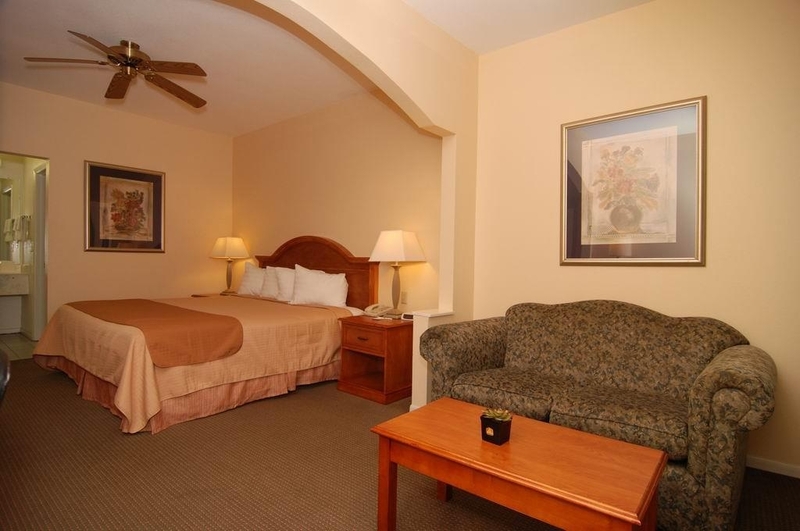 With prices less than $100, the rooms are well worth the price. We stayed here 2 nights on anniversary while we toured the local area around Brenham to look at all the bluebonnets that were in bloom. We traveled 200 miles to get here. We are typical blue collar people so we didn't want a $200 night hotel. We stayed here about 5 years ago and will stay again. The room was nice. It was clean, smelled fresh and plenty large with small sofa, tv, fridge, microwave, work desk. The breakfast was good. Nothing spectacular but as good as you'd get at McDonald's. What you can eat here would cost around $7-8 there. The typical fare included scrambled eggs, sausage, biscuits, gravy, toast, Danish,cereal,juices,bagels,waffles,coffee,yogurt,oatmeal. We stayed for $85 plus taxes. Nicer place than what a Motel 6 would be I'm sure. We went to Navasota for the Texas Birthday Bash and usually stay in Collage Station but this time we wanted give Navasota a shot. A little pricey for a Best Western but compared with others in the location they are all a little pricey. The hotel was nice and clean and the breakfast was alright. Just a short 1 night visit for a family get together in Navasota. Clean, quiet and very hospitable staff. I used BW Points for my stay so the value was really great. Enjoyed my stay and will stay again when I'm in the area. I enjoyed our stay. It is a small hotel, but it was convenient for us. There was an elevator to the second floor and our room was right off the elevator. The bed was comfortable. There wasn't any noise. There was a large tv. The breakfast was good. Will definitely stay there again. The hotel is a basic hotel that is reasonably well maintained. 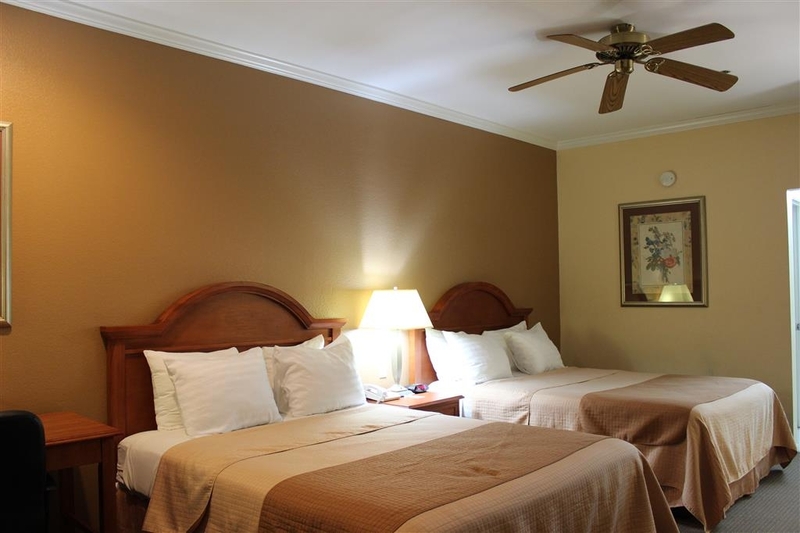 We stayed in a double queen bed room and the room was large and spacious and well appointed. The hotel is 20 minutes from the Texas Renaissance Festival and was very easy to get to from the festival site. The reason for the four stars is that our air conditioning unit was not working properly. 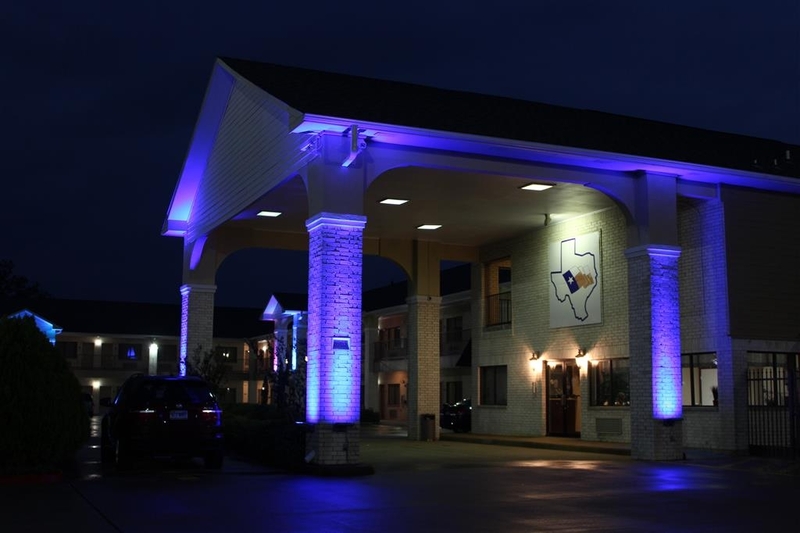 As usual, Best Western Inn of Navasota never fails to meet all of my expectations. The awesome staff always makes me feel welcome, and it's always a pleasure to visit with them when time permits. 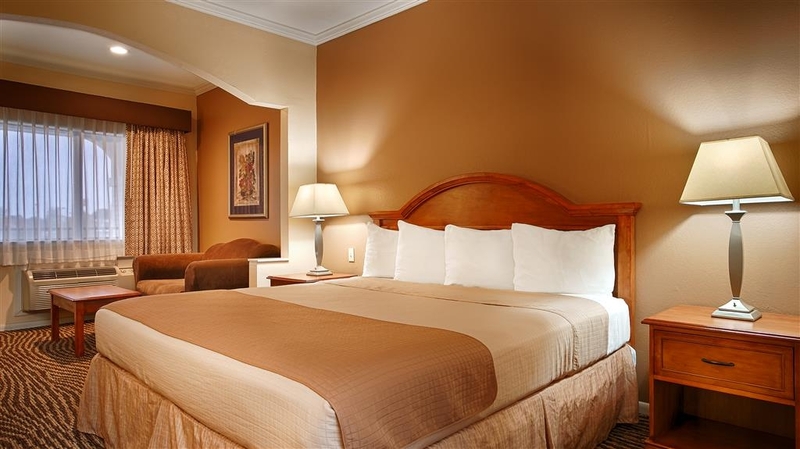 The rooms are always clean and the beds comfortable. 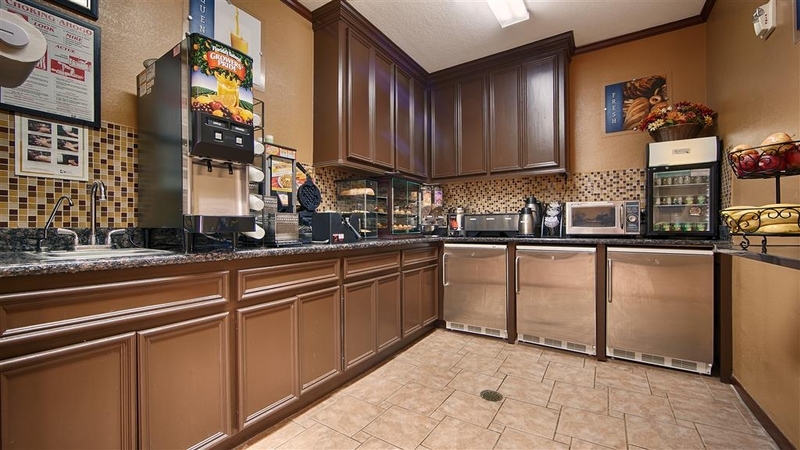 The continental breakfast in a step above the rest. Thank you for another great stay! The hotel was a short distance from the festival site but well worth it. 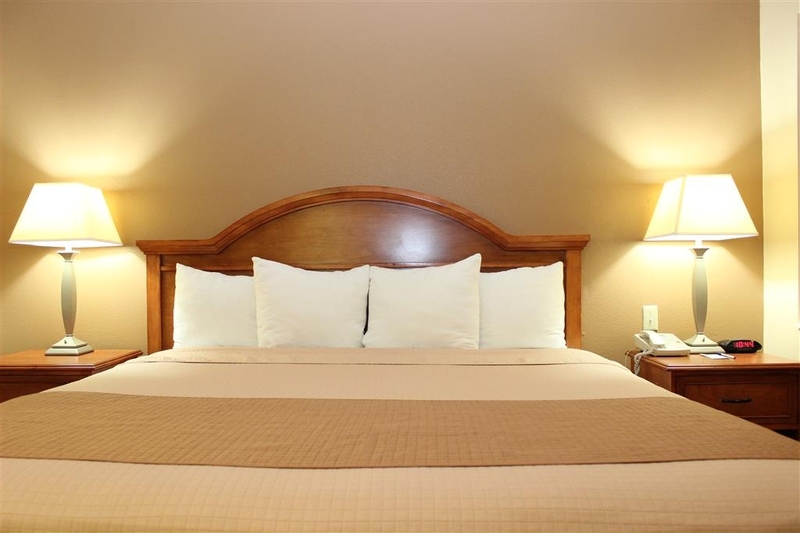 The hotel was very clean and the staff was extremely pleasant and accommodating. I have already recommended it to friends who attend the festival. Very family friendly atmosphere. Front desk personnel (Dora & Anna) were seemed to enjoy their job and helping people. Very refreshing. A lot of people trying to get breakfast in the morning, but only one employee and she had to cover the checkout desk too. They ran out of food and it eventually got refilled but they had to use the only microwave in the breakfast room to heat up sausage and then the eggs, etc. Texas-shaped waffles were nice to have, but a second waffle maker would've been helpful. Hotel seems to be trying to make the most of what they have. 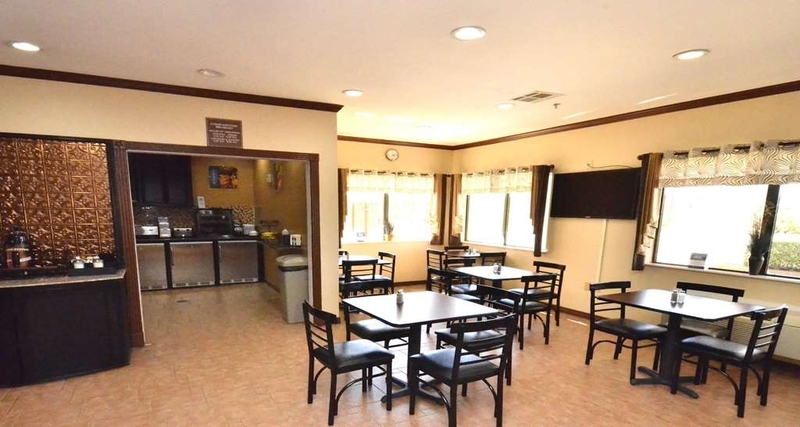 The breakfast room is just the lobby and it's a very small lobby. All rooms are exterior. The inside of the room is nice and has fridge/microwave. In-room wifi was slow. The above are not a huge deal except that the price of the room was pretty high - I would expect more for what you pay. "Best Western in Navasota, TX"
Went for the Renaissance Festival. Restaurants were close by. To get to the hotel one had to drive to the next exit and then take the frontage road back. Room was clean, internet was on again off again and at times problems with the cable. 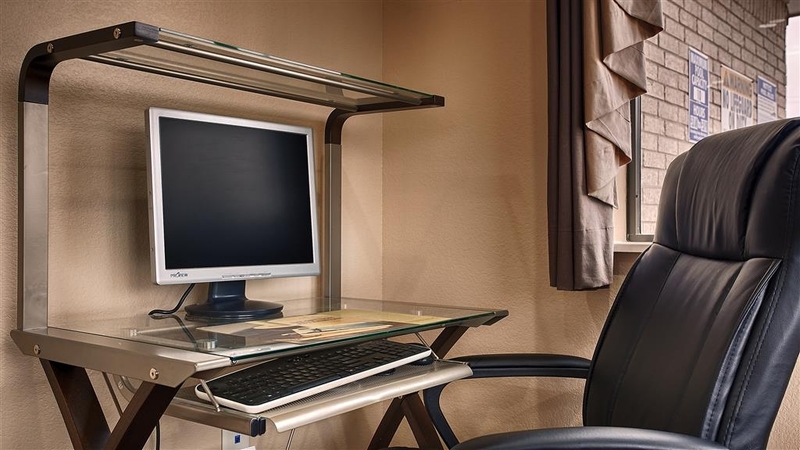 "As always a nice room at a fair price which I have come to expect from the chain." 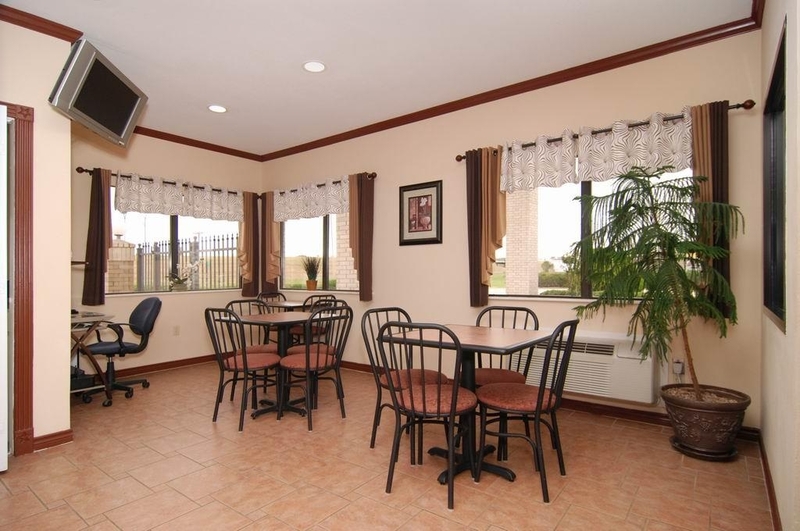 This is an older motel that has been nicely remodeled. One of the few left that has some smoking rooms available. If you smoke, it is nice not to have to go outside to smoke. I would have given it a 5 except for the bathroom door that had loose hinges causing bathroom door to automatically close at a very squeaky slow pace that will wake anyone in the night if you go to bathroom. 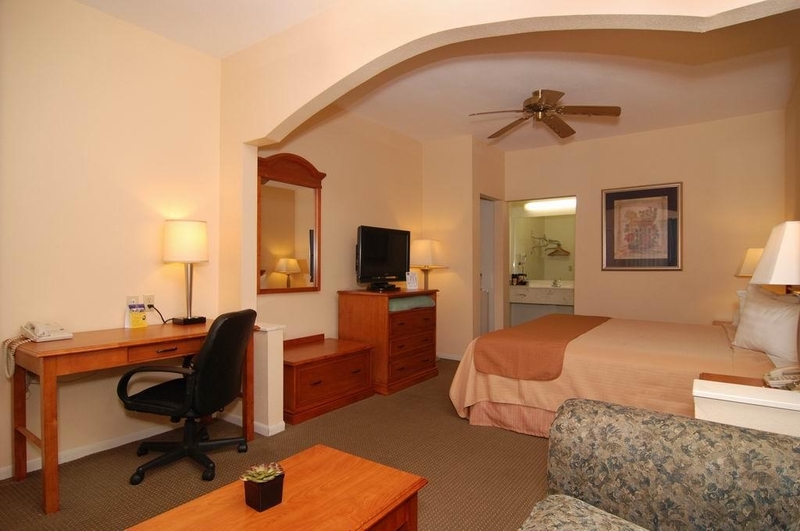 Other than that, just as nice as any other Best Western out there. "Best Western worth a Try"
I will be honest, I use to work at a Best Western that was one of the best. I looked to use the Points I had accumulated & was happy to see that I could use them at this hotel. I read several reviews that concerned me, but when we arrived, I was pleasantly surprised at the outside appearance. Our room was very clean & everyone we met dealt with was very nice. There were a couple of issues: 1) the phone & Internet was down for 1 of the 2 days we were there; 2) I wish the bed had been more comfortable. Otherwise, everything else was great and I would definitely recommend this hotel! 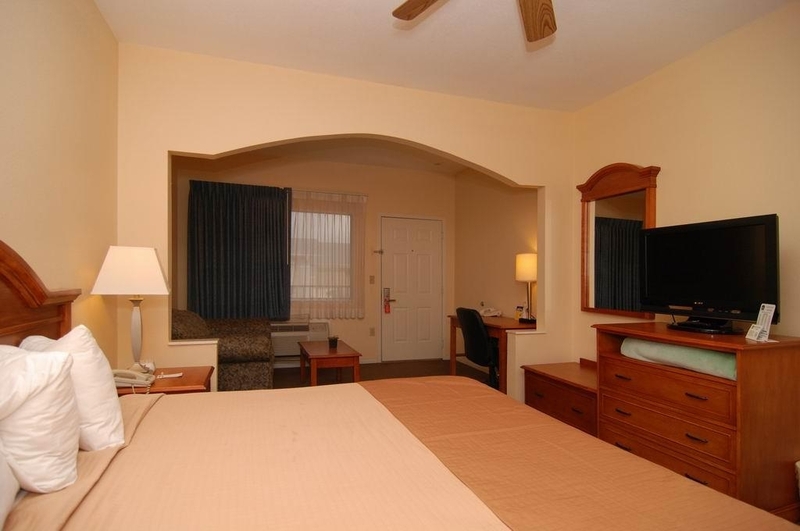 "Not bad for last choice"
This is a nice little Best Western. Our room had been recently painted and looked nice. There was a microwave and a refrigerator. Friday night, the internet was a little slow, but Saturday night it was perfect. I still feel that over 100.00 an night for a Best Western in a tiny town is little costly, though. There is no easy access from the north, the frontage road was recently made one way. If you are coming to the motel from College Station, Texas, which is only 13 miles away or so, you have to exit, go down to the next underpass and back around. It is a bit of an inconvenience. 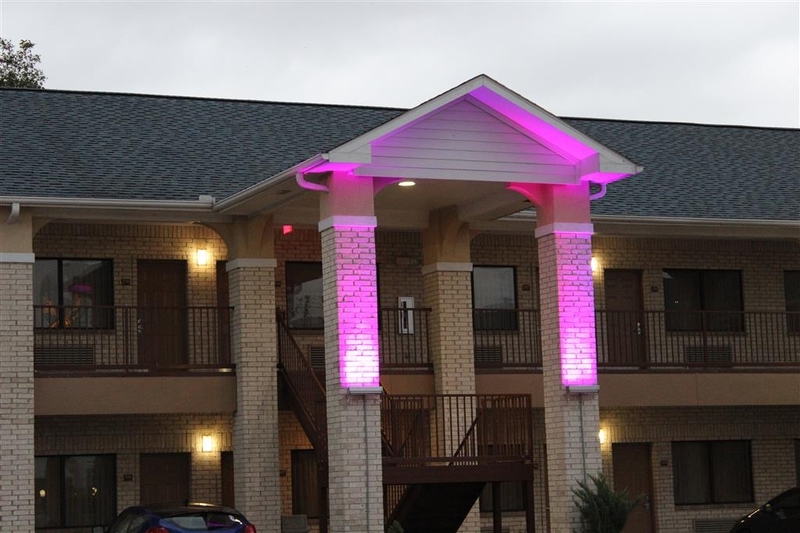 The cost of this motel is almost as much as staying in one down the road in the much, much larger town of College Station. There are not many places to eat in Navasota, Texas. There is not much to do in Navasota, Texas either, but plenty in larger nearby towns. We were here for Antique Weekend in Round Top, Texas. It was about an hour's drive to Round Top. Everything closer to Round Top was sold out for this weekend. Overall, when in Navasota, Texas, you have few choices. This place was a good one. This hotel is an older Best Western and needs to be updated. 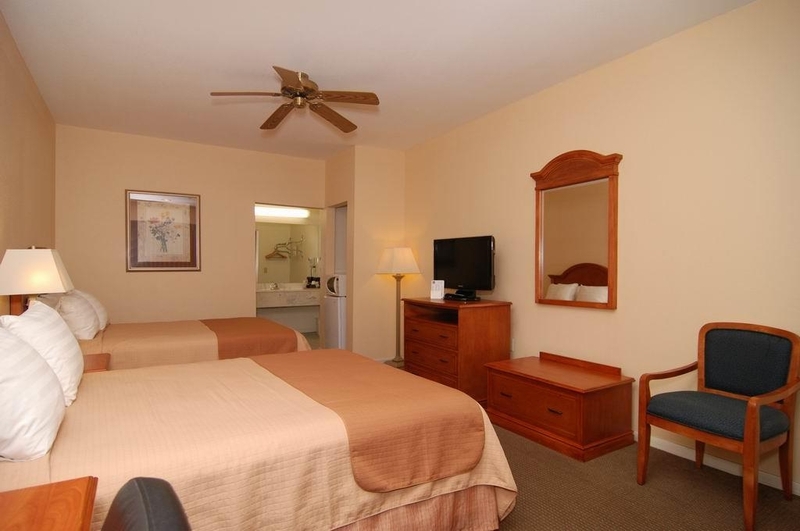 The staff is helpful and the rooms were clean but not nearly inline with the nightly fee. If we had not needed to be close for a friends wedding...I would have opted to stay elsewhere. Reservation made and prepaid so why is the a/c off when I get in room. Takes an hour to cool down. 3rd time I've been here. 3rd time this happens. Just crap service. Go to Comfort Inn if you can. Their rooms are cool when you check in. I stayed here briefly after playing a music fest close by. The room was clean and pretty typical of a chain motel. You can tell that smokers are everywhere around the room- and I could detect the odor in the room, off and on. The beds were comfortable, and the AC functional and not too noisy. Room was very clean and in good condition. Did not notice any problem areas. Bed was comfortable. The air conditioner worked great! Front desk staff was friendly. The hotel was not very full the night I was there so it was quiet.